Your biannual dental exam plays a critical role in your dental health. Our dentist checks your teeth for signs of decay, gum disease and other dental conditions that could affect the health, function or aesthetics of your smile. Your dental exam may also reveal signs of overall health conditions, such as digestive disorders. Diabetes is often first revealed in the mouth. A diabetic may have noticeably sweet breath and is more likely to suffer from thrush, a fungal infection of the mouth. Accurately diagnosing diabetes early can protect the body from the extensive damage associated with the disease. Diabetes is also frequently associated with gum disease. Gum disease can increase your risk of developing Type 2 diabetes, and both Type 1 and Type 2 diabetes are associated with developing gum disease. 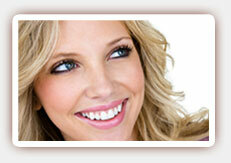 Good dental hygiene and regular dental care can reduce your risk of gum disease. Teeth that show signs of erosion can be a clue to gastroesophageal reflux disease, or GERD. Stomach acids tend to wash back up into the mouth, often at night, but many people are unaware of this potentially serious condition until a dentist clues them in to the signs. Poor nutrition often shows in the mouth, too. Teeth and gums can suffer due to the lack of nutrients associated with digestive disorders, such as Crohn’s disease. Eating disorders may also be more easily identified in a dental exam, particularly disorders such as bulimia, which can rapidly erode dental enamel and increase tooth sensitivity. West Hollywood dentist, Poneh Ghasri DDS, encourages her patients to visit every six months for thorough dental exams in order to help maintain not just good dental health but also good overall health.